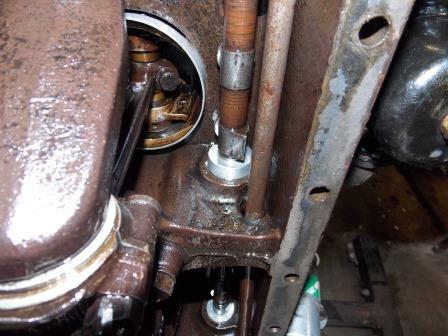 There was some chat recently about piston pin bolts and the use of cotter pins or wire, etc. Can I just use bolts with a lock washer? Must I drill the new bolts for safety wire? Grade eight bolts with lock-tite? What? I normally wire them around the piston pin. I don't see why they would need to be wired.? Aaron, there is always a small gap between the two parts of the rod where the bolt goes. There fore a lock washer will not work. You need to prevent the bolt to turn, so wire the bolt or block it with the right (not to small) cotter pin will work very well. The Chevy rod of the era used a split washer. There's another definition of split washer, of course. Use original wrist pin bolts. They have a very high head, and a fairly large hole for the cotter pin. IMHO best is wired around the rod, then lock washers. Last is cotter pins. I've seen them bend and the bolts loosen. If we had cotter pins the strength of those used back when, it would be different. High temp Loctite should be fine. I've used it to secure thread inserts in a head and it held up to engine heat. I have used Loctite for many years with no problems. I also use it at the other end of the connecting rod too. And I don't bother with high temp. Everything inside the crankcase is about the same temperature when you consider all the oil and air flying around in there!!!! I have used wire, wrapped round the rod......and then I have subsequently found the wire in the sump. I have moved to split pins, even though their effectiveness is doubtful. Not sure about Loctite unless everything is absolutely clean. 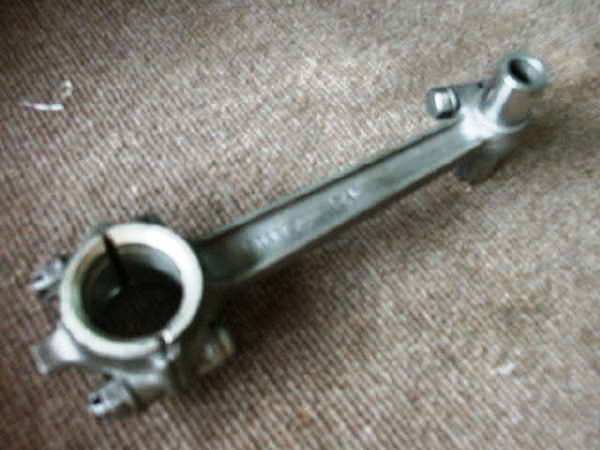 Aaron, there is always a small gap between the two parts of the rod where the bolt goes. There fore a lock washer will not work. You need to prevent the bolt to turn, so wire the bolt or block it with the right (not to small) cotter pin will work very well. "END QUOTE"
That is just plain not true. The bolt tightens the rod to the wrist pin. I have used New lock washers, on used wrist pin bolts over 40 years, and that is a lot of them. Keys can't hold the bolt from coming loose, and as Chris stated wire will break. 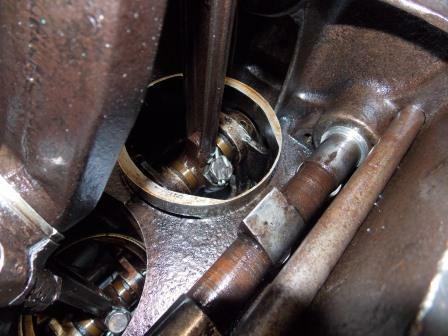 Many of the motors we have pulled down the cotter pins were in but, the bolt was loose and turned back and forth and dug a hole in one side of the bolt to where we couldn't use the bolt over.